Collectible fun for the Pokemon fan! Partner with Pikachu and friends in Pokemon Monopoly! 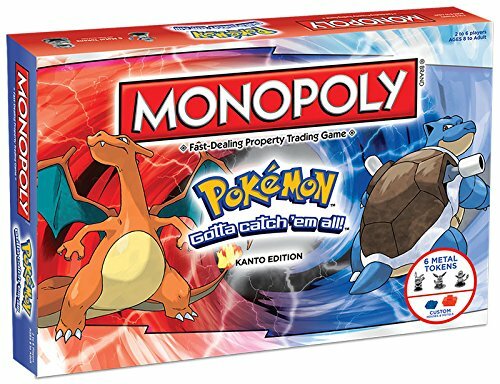 Travel through all eightgyms and battle all kinds of Pokemon in the Pokemon Kanto Edition of Monopoly.Buy, sell and trade with other trainers to collect the most powerful Pokemonteam!